Robert Alai will always cause controversy whenever he goes, both online and offline. Yesterday, the popular blogger was involved in a feisty altercation with a City Council askari on Kenyatta Avenue. According to eyewitnesses the askari had allegedly confiscated the keys to Mr Alai’s white BMW. The incident resulted in an exchange of blows that left the askari bleeding from the mouth. 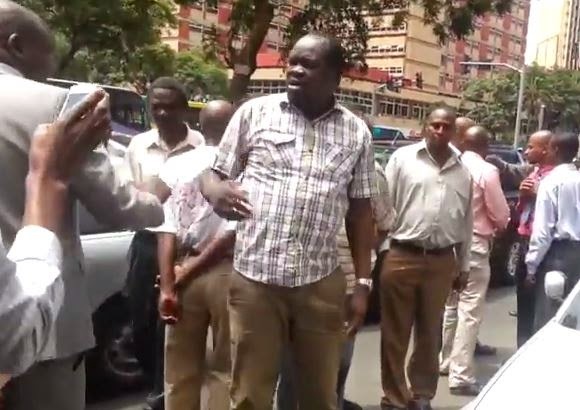 The witnesses claim the askari was the first to throw a punch and Alai responded in kind with an uppercut. Here is that video shared by Nairobi News.